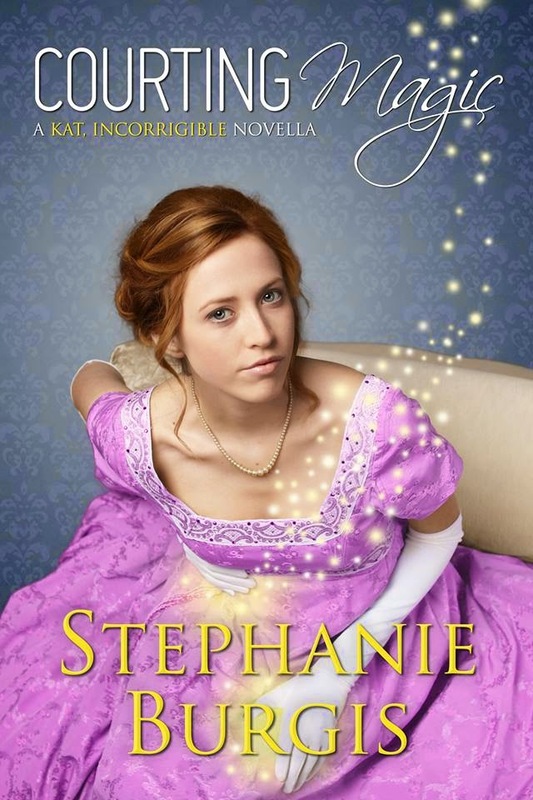 In Kat Stephenson's Regency England, magic is even more shocking than a stolen kiss. But now that she's eighteen, it's time for wild and magical Kat to be introduced to high society by her older sisters, whether she likes it or not...and to finally have a romance of her own! Of course, her true love is hopelessly ineligible. But when has Kat ever let Society's opinion stop her from making up her own mind? Once she realizes she's found her perfect match, she's not going to let anything or anyone stand in their way - even if she does have to solve a magical mystery, matchmake for an old friend, and break a few rules along the way! This novella will be published August 12, 2014. Go add it on Goodreads, quick!